Recently I took a bus to the evil stepmother queen of all airports: LAX. 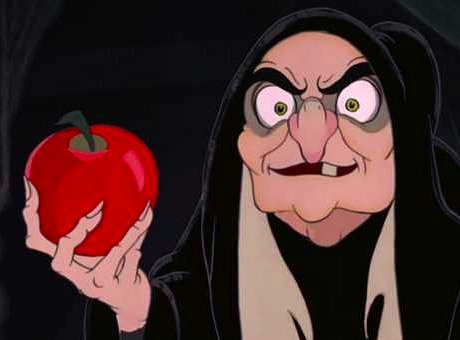 Unfortunately, if LAX is an evil queen, then the bus turned out to be a poisoned apple. It's not like the bus wasn't nice. It had tall, plush seats, high def TV monitors scattered throughout the interior, and best of all, a friendly driver at its helm WHO WANTED TO KILL ME. Okay, I don't actually know if he wanted to kill me. And honestly, I can't even say whether or not he was an unsafe driver. All I know is on that warm California morning I may have been driven to LAX (and arrived late, by the way), but I was also driven to what I've named, "My Brake Down." Unfortunately, what I experienced without any preparation was an hour and a half long drive so convulsive, I'm sure the other people on the freeway took us for a bunch of head-banging metal lovers on our way to Warped Tour. If only! How I cherish the thought of spending that early morning thrashing to some band called Chronic Doom. Instead the driver attempted to ease our brain damage by popping in a DVD of Il Divo In Concert. Now, I hope you understand the gravity of what this means. By putting on the DVD, not only were we forced to listen to the concert; we were forced to watch the concert because of the very high def TV monitors I had just praised moments earlier. With my earphones stowed in luggage under the bus, and a phone low on batteries because of the Uber I took to the bus station, I'm afraid there was simply no way to escape "the divos." It was at this point that the panic started setting in. 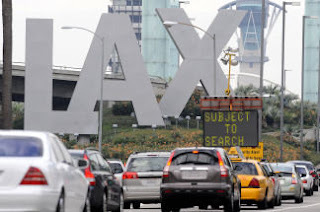 I had traffic as far as the eye could see, a looming flight departure, and now a classical shouting match of ABBA's "The Winner Takes It All" IN LATIN. I was on edge. Then, as one of the tenors made, wait for it now, ANOTHER KEY CHANGE!! (this time while holding a single rose because that's just what you do), the driver pumped the breaks which once again slammed my forehead into the seat ahead of me, and... I lost it. A loud, steady moan erupted from my soul. My face felt like it was on fire, and I was overcome by a fit of hysterical laughing in which tears secreted from both of my eye holes. I was broken. I had reached my limit. If I had any government secrets, I would have given them up right then and there for the serenity of one Colbie Callait song. Who am I kidding? That can't be possible. The real explanation must be we all have different "braking points." We all have our moments when, excuse my language, the crapper gets a little full, and you have to excuse yourself to take care of it. When we're feeling volatile, hopefully we're mature enough to keep from hurting anyone that may wander into our line of fire. And hopefully, as we gain more experience with our limits, we can make a U turn when the brakes are a little sensitive or stuff toilet paper in our ears before it gets too late. Most of all, I think when we have a "brake down," we need to give ourselves a break! Give it the ol' "this too shall pass," and own it. So I wasn't built for waterboarding? So what? So I get frustrated? So what?! What I can't do is get frustrated and then hate myself for it because that's stupid, and I hate myself for that.